Why use Dartmoor Walks & Rides This Way? 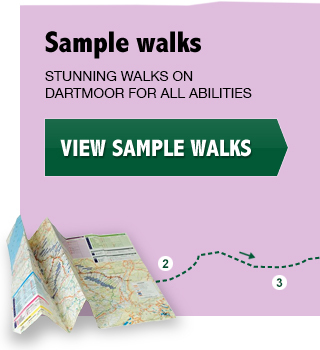 Dartmoor Walks & Rides This Way was founded by Inga Page, who has lived in Ashburton, on the southern edge of Dartmooor, for 11 years. During this time she has explored the moor thoroughly, paying particular attention to routes that will make for attractive and accessible walks for the whole family. 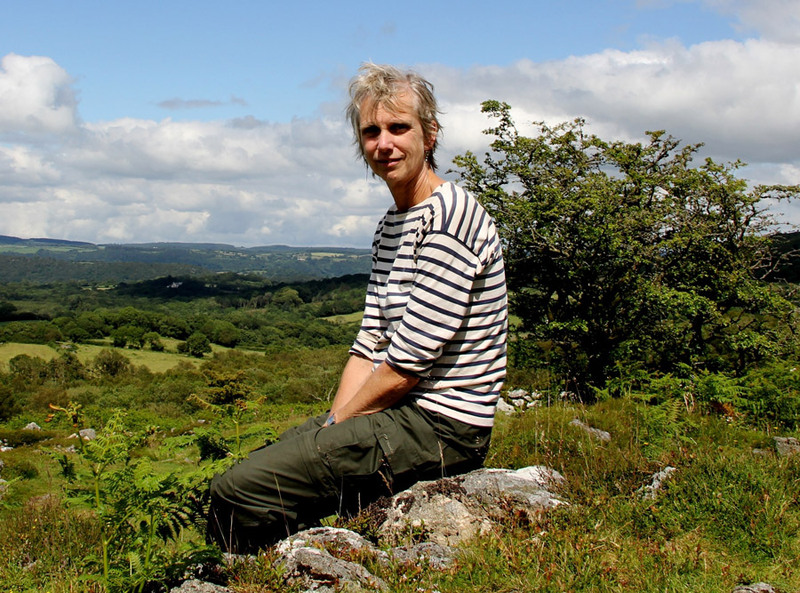 Until April 2012 she worked as Programme Manager at Schumacher College in Dartington, where she developed the popular Earth Pilgrim courses that take participants out to experience and reflect on the wild beauty of Dartmoor in the company of Satish Kumar. “Some of my family are not very adventurous walkers, so I started going out in advance to make sure any outing we did together would be enjoyable for them as well as me. Gradually, other people I know in the area began to ask me for advice about where they could take visiting relatives who liked hiking or their own children who needed some incentive to go for a walk. 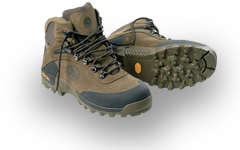 At the same time, we introduced the Earth Pilgrim courses at Schumacher College and I took responsibility for planning the routes the group would follow. Our participants were of very varied age and energy levels, so the day walks needed to be no more than 5-6 miles and to have a number of good resting spots where the group could sit and talk, write in their journals etc. The process of exploring new areas for this course made me realise how many beautiful parts of the moor are hardly visited even though they do not involve walking huge distances. "Many years ago, I bought a used electric bike to commute to work on and it was a revelation. All of a sudden, all the hilly corners of Devon became accessible. I started riding from Ashburton up onto Dartmoor and realised what a joy it is to cycle along moorland lanes with fantastic views all around, ponies grazing nearby and the lovely fresh air in your face. So after the walks business was up and running, I decided to introduce e-bike tours too. My idea of a brilliant day out is to head off from Ashburton, cycle onto the moor, do a good walk, and cycle back via a different route. That's what I can now offer, starting from a variety of locations around the moor." Inga is trained in Outdoor First Aid and has a qualification in Moorland Leadership. She can also offer guided walks and rides in German.